TOMORROW’S World Cup opener against Wales at the Oil Search National Football Stadium holds special significance for the Papua New Guinea Kumuls. 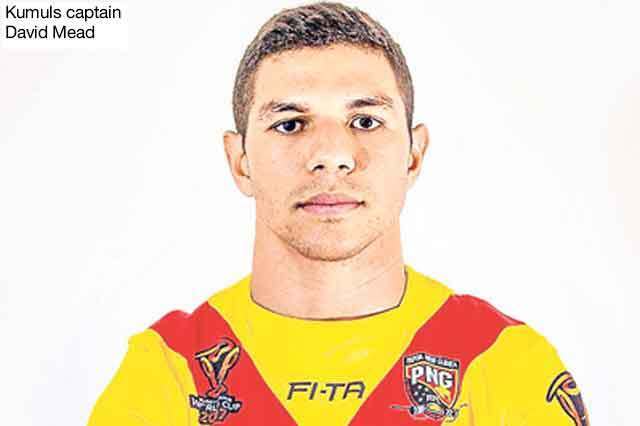 It will be the first PNG LNG Kumuls match to be played in Port Moresby since 2009. Eight years ago PNG hosted the Pacific Cup which saw the Kumuls beat the Cook Islands 42-14 to claim the title. Back then current Kumuls captain David Mead, pictured, was a fresh faced 19-year-old in his second year with the national side after debuting for the Adrian Lam-coached with current head coach Michael Marum then the assistant coach. “It feels like yesterday when we played that game,” Mead said. With Marum in-charge, the Kumuls return to Port Moresby for a homecoming of sorts. Mead, Paul Aiton and Rod Griffin are the only surviving players from that 2009 squad which saw all matches played at the old Lloyd Robson Oval. Now with the new world class National Football Stadium to call home, the Kumuls and Papua New Guinea rugby league have received a shot in the arm with the SP PNG Hunters inclusion and success in the Queensland Intrust Super Cup, in terms of player’s professionalism and preparedness. “Having the Hunters play in the Intrust Super Cup has added a new level of professionalism to the Kumuls preparations,” Mead said. “In previous years coming into camp the teams haven’t been as fit as they are now. PNG has never beaten Wales since 1991. In their three meet, in 1991 Wales won 68-0, in 2000, Wales also won 22-8 and in 2007 Wales beat PNG 50-10.